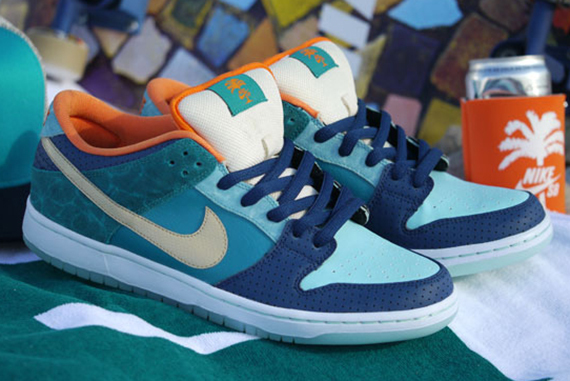 Seems like every sneaker relevant to Miami has been done up “Dolphin” style like the Lebron 10, Ronnie Fieg’s Asics Gel Lyte III and now a Dunk done by MIA Skateshop. Featured on this Dunk Low, is a multi color display of greens, oranges and gold, with various textiles that make up the upper. 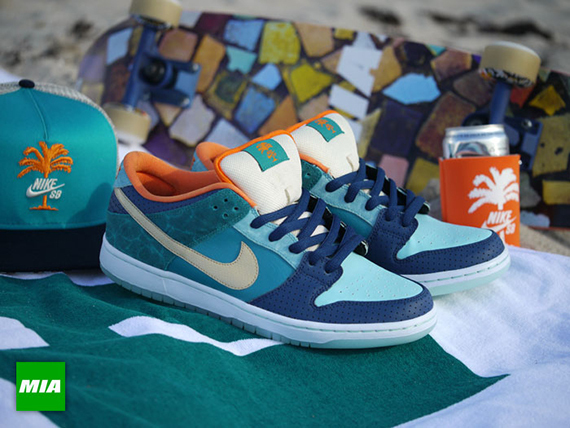 As for the release date, The special edition of this Dunk Low will be released as a package deal on June 21st, that will include a beach towel, keychain, tote bag, and a koozi. Stay tuned for a wider Release Date here on Modern Notoriety.